Since Efron's profound paper on the bootstrap, an enormous amount of effort has been spent on the development of bootstrap, jacknife, and other resampling methods. The primary goal of these computer-intensive methods has been to provide statistical tools that work in complex situations without imposing unrealistic or unverifiable assumptions about the data generating mechanism. 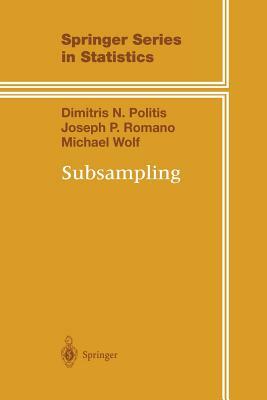 This book sets out to lay some of the foundations for subsampling methodology and related methods.